For only $10 a month, you will receive a new item to help you make the shift to using healthy products in your home. Currently, they are also offering a special discount for My Whole Food Life readers. By using the code MYWHOLEFOODCONTAINERSFIX you can receive the first fix for only $3! You can also click this link to get to the offer. I love that each shipment brings a little surprise, note about the product, and even a recipe. These jars came with a recipe for ranch dressing. Shipping of the Mighty Fix is always free. You can even add other items you like to your Mighty Fix and the shipping will still be free. Pretty cool right? One of my favorite things about shopping with MightyNest is that they will donate 15% of your order to your school of choice. So 15% of every $10 Mighty Fix goes to your school. You can read more about that here. Your Mighty Fix subscription can be as long or short as you like. You decide. Anyone can use these Mighty Fix products, not just families. 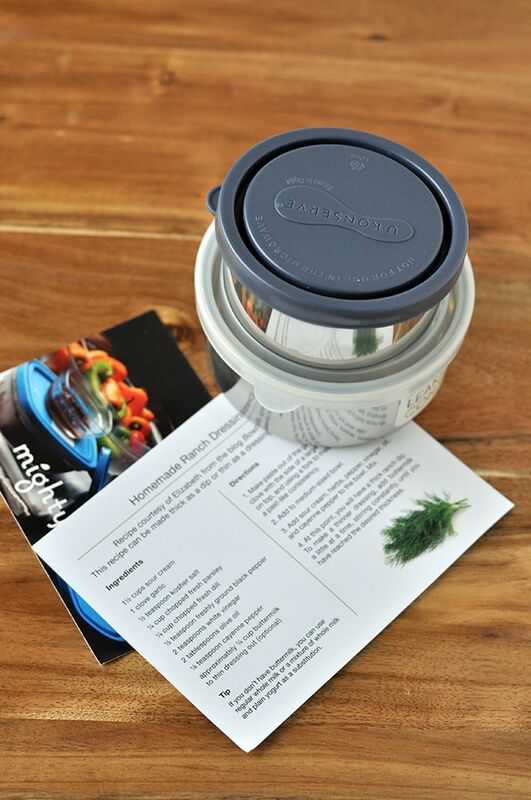 These U-Konserve containers are great for travel. They are both leak proof, so they are perfect for dips like this berry sauce. Just throw them in an insulated lunch sack and you are ready to go. Not only are these containers great for travel, but they can also double as containers for school lunches once the kids go back to school. My kids could live on fruit. The smaller one can hold fruit or dry snacks like these pistachios. I love pistachios as travel snacks, but the containers could hold just about anything. From trail mix, to dried cereal, to sliced veggies – they are a wonderful way to take healthy snacks on the go. 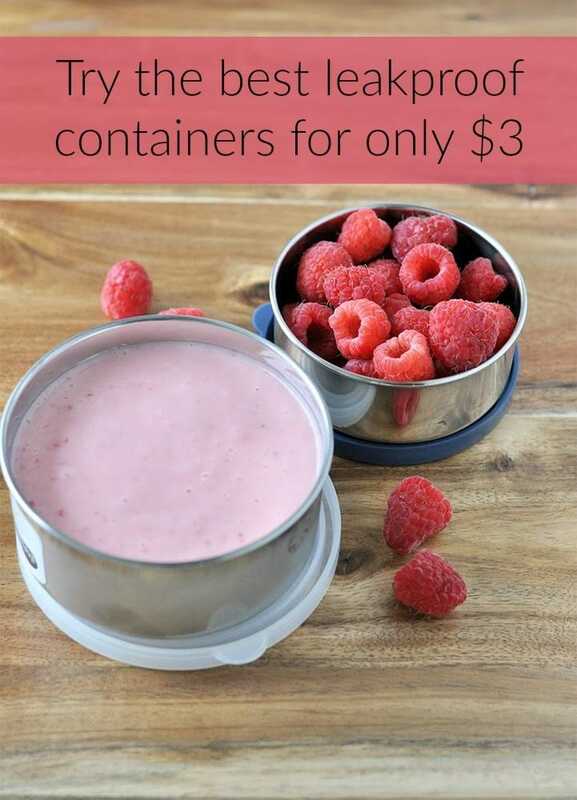 Want to try these containers and the Mighty Fix for only $3? Just click the banner below to use the promo code. If you don’t see it in your cart at checkout, just add it in the Promo Code box on the checkout form. Now onto that berry sauce. 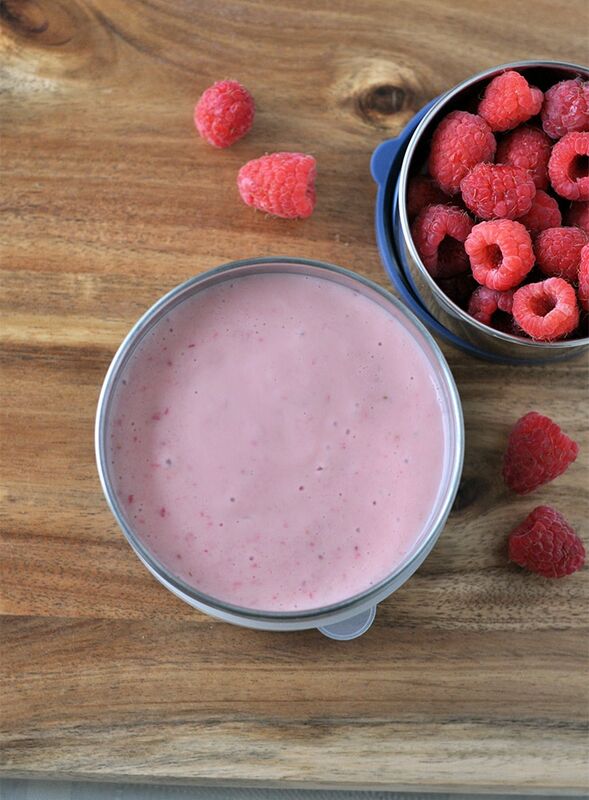 Simple berry sauce perfect for fruit dipping! In a small blender, combine both ingredients. Take a taste. If it's not sweet enough, feel free to add a little maple syrup. 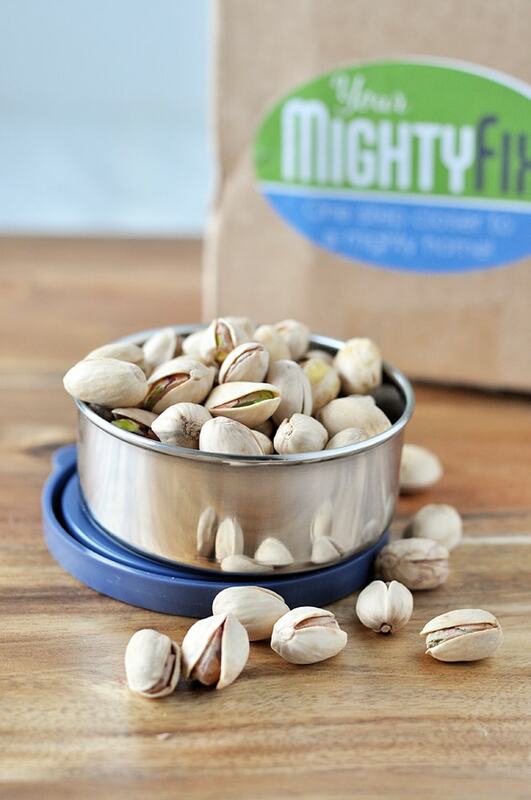 Make sure you check out this link to receive your first Mighty Fix for only $3!! Thanks Sarah! That sounds like a great idea!